How will robotics affect the European economy? Astonishing technological advances in the field of robotics and Artificial Intelligence are being reported every day. According to the International Federation of Robotics, last year, global sales of industrial robots reached the new record of 387,000. This means an amazing increase of 31% compared to 2016. Also, according to Loup Ventures research, the industrial robotics market is expected to grow by 175% over the next decade. It is well-known that robots will be one of the key drivers of economic growth in the next decades. Therefore, we are in a long-term race where all the countries and firms are competing to be in the first position. 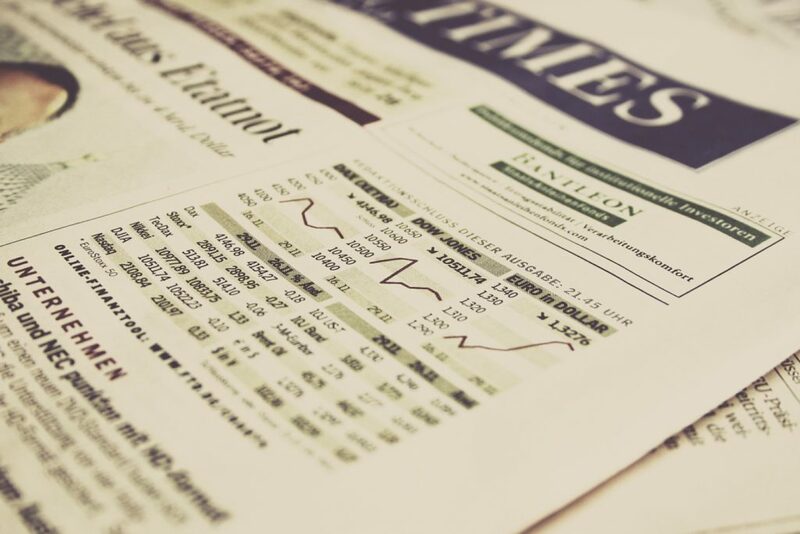 Many sectors, such as health care, agriculture, manufacturing, agri-food, or military; will benefit from these technologies in multiple ways and these innovations will help firms or countries to have a big potential. It is true that some people are concerned about this development and automation, often robotics are associated with job substitution. There is a general fear among the population, people think that they could lose their jobs and be replaced by robots or machines. Check this TED Talk “Will automation take away all our jobs?” from David Autor. These concerns are understandable, but the debate should not focus on this approach, whereas the question should be what Europe could do with a full development of Robotics and AI, and this is what during the next years we will try to discover at RobotUnion. Automation and digitalization of manufacturing or other sectors, will not lead to unemployment. Costs of production will be lower and it will benefit both firms, employees and clients, apart from removing incentives to relocate factories to other regions. Also, with all these changes, new jobs will arise and with better working conditions. As stated in eu ROBOTICS, a paper released by the National Bureau of Economic Research concludes that every robot introduced between 1990 and 2007 coincided with the elimination of 6.2 jobs within the commute area and a slight drop in wages. The International Federation of Robotics however found that from 2010 to 2015, the US industry installed around 135,000 new industrial robots, mainly in the car industry. During this same period, the number of employees in the automotive sector increased by 230,000. So the answer to the question, do robots create or destroy jobs? It is really difficult. Certain professions may disappear in a local community, while the overall number of jobs may increase globally. In any case, the nature of work will most likely change. As reported by the 2017 World Robot Statistics, issued by the IFR, we can see that Asia, Europe, and the United States are leading the revolution of robotics in the world. 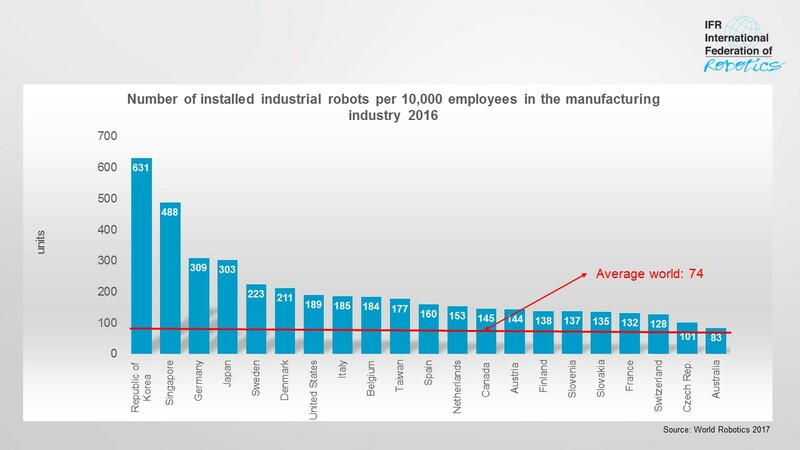 However, there is a large difference between the Republic of Korea and the other countries, considering that the world average of installed industrial robots per 10,000 employees in the manufacturing industry in 2016 was of 74. The progress of robotics is inevitable, so, the point of view of Europe should be how to use these improvements to take full advantage of the opportunities presented. Furthermore, being able to compete with the US and Asia at the same level, because it is clear that robotics will help the economic growth and will give plenty of opportunities to take advantage of, and to improve people live later with the regulation of governments.